Song 106 – Nephi’s Vision was used as the music for Psalm 16 and is referenced by Song 101 – This New Song. Whenever Andrea and I were in Provo we ended up staying with her brother and his wife, Randy and Kathryn Shirts (see the photo of The KeyNotes in Song 103 – I Wanna Hold Your Hand). Andrea always has a lot to talk about. I don’t. Somehow, there was a guitar, I had some time, I was reading in 1st Nephi 11, and I put the words and the story I was reading to a new tune I came up with. It happened to be Randy’s birthday, and so I called it Randy’s Birthday Song. I actually sang it to Randy. He was not very impressed, especially since I said “condensation” instead of “condescension of God.” I always struggle with words. Guess this is part of the reason I write Stanzas and Grandkidlets. It exercises the part of my brain that does not work as well as the visualization side of my brain. I like this song and the message of the words of Nephi, even though I think the only time I sang it for anyone other than myself was when I sang it for Randy, Katheryn, and Andrea. Often I wish I had more self-confidence, and was willing to share things like this song in ways which would touch others, and help them to believe in the Son of God, like I have come to believe in Jesus, and to know him as my Savior. 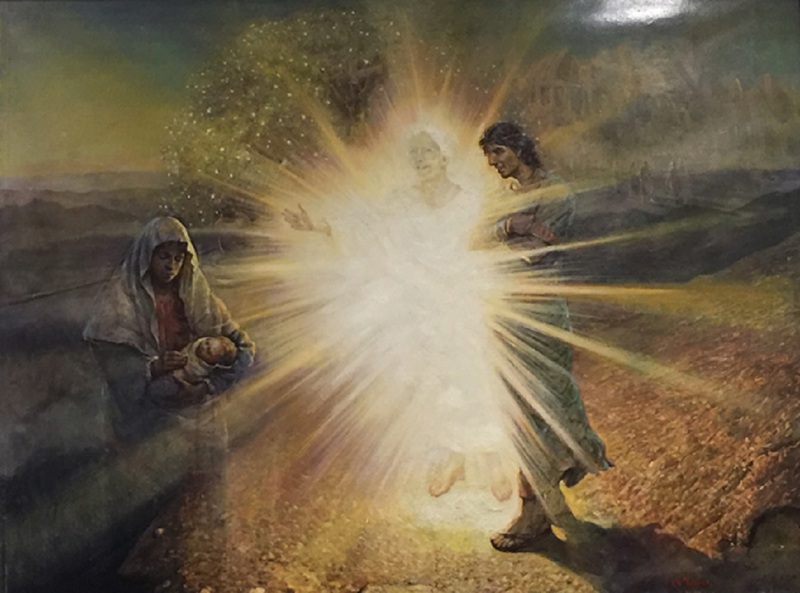 In the Nottingham Country Ward (note this link shows web pages built for our ward in 1995, which was about a year before 1996 when the LDS Church began to use the web as a messaging and communication vehicle) I discovered Kenneth R. Turner and his art (the image to the left is one of his paintings). 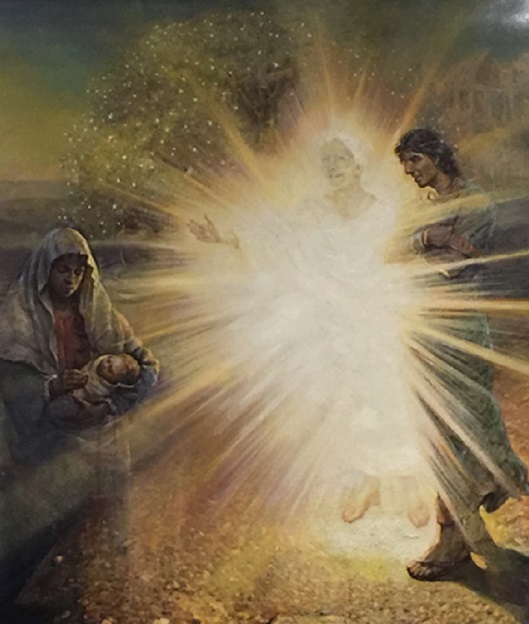 Ken Turner was obviously touched by the same spirit, as one of the three paintings he created when an anonymous donor provided him financial freedom for several months, was the painting of Nephi’s Vision, which now hangs in Paul’s house in Providence, Utah.